Wow great work Visit Tucson which increased our Metro #Tucson region's ECONOMIC IMPACT by 12%! Visit Tucson generates $24 for the metro Tucson region for every $1 invested in the organization. Look what they have done! Visit Tucson's mission is to drive economic development by connecting visitors with their ideal travel and meetings experiences in Tucson and Southern Arizona. Visit tucson is financially supported by the City of Tucson, Pima County, the Town of Oro Valley, the Pascua Yaqui Tribe, the Tohono O'odham Nation and more than 500 individual and business partners. Even more exciting NOW the Tucson International Airport offers direct flights to Hermosillo Mexico which makes a San Carlos beach getaway a quick 55 minute destination. Thanks in part to the excellent work of Felipe Garcia with Vamos a Tucson which is the Visit Tucson branch for cross border work on tourism, retail commerce, hospitality, foreign direct investment, and exporting. AND starting October 6, 2016 DIRECT FLIGHTS FROM TUCSON TO JFK AIRPORT! Tucson now has an array of signature events and non-stop action from September through May supported by Visit Tucson. Look for my ad in the Tucson Jazz Festival program. This will be Tucson's 3rd festival and we are already tops in the nation for jazz thanks to Yvonne Ervin and the dedicated work of her associates. You may already know about our world famous Gem Show, Rodeo, and Tucson Festival of Books. Make sure to find all signature events atVisitTucson. During your visit drive thru the neighborhoods and view homes from the curb on your mobile phone. 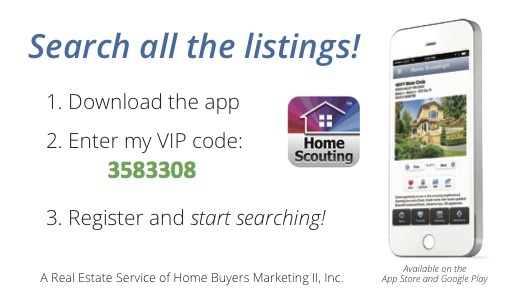 See 100% of ALL Active listings. View our unique southwestern architecture and imagine yourself living here! WE WELCOME YOU TO TUCSON! BIENVENIDOS A TUCSON!